Wave goodbye to BB creams, resident Beauty Bird, Elle Tucker is back with her roundup of the best CC creams. But what’s the difference between a CC and a BB cream? BB creams are really makeup with primer and skincare benefits built in, plus sometimes an SPF. But CC creams (CC stands for ‘colour correction’) are more about the skincare, with an emphasis on correction (such as dark spot correcting ingredients, luminisers, plumpers) as well as some sheer coverage. Which to me, sounds more appealing than that old has-been BB. Are you with me? Here are my top five. 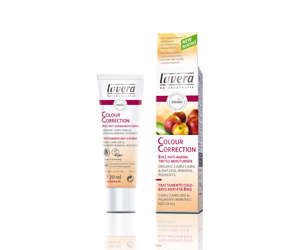 For luminosity, my favourite is the new Lavera Colour Correction Cream Anti-Ageing 8 in1 Tinted Moisturiser (£19.90). What a joy this is, like adding the most flattering Instagram filter to your face and wearing it all day. It’s sheeny without being sparkly, and don’t get me started on those eight benefits. 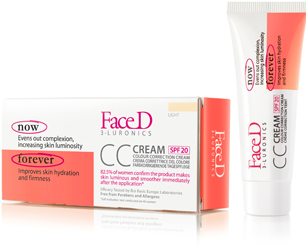 Another hard-worker on the skincare front is Face D 3-luronics CC Cream (£19.99). This contains ‘intelligent pigments’ and, as you’ll guess from the name, hyaluronic acid for a power surge of hydration. A real plumper, and with an SPF20 thrown in for good measure, it’s set to become my summer go-to. Out and about, I am rather taken with my new Clinique Moisture Surge CC Cream Compact Hydrating Colour Corrector SPF 25 (£30). Yes, the compact is shiny and beautiful, but I love it because it is like a magic wand on imperfections, unevenness and dullness. 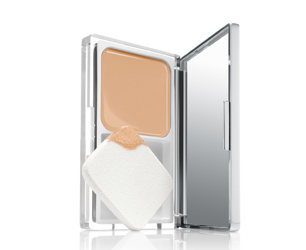 You can even use it dotted where you need it, as a concealer – it blends like a dream. Sorcery may be involved. My purse-friendly pick is Bourjois 123 Perfect Colour Correcting cream (£9.99). This contains not one but three colour correcting pigments: apricot for anti-fatigue, green for anti-redness and white for anti-dark spots. It’s super-lightweight and oil-free so ideal for combination types like me. And finally, Manuka Doctor ApiRefine CC Cream SPF20 (£19.99), which calls itself ‘airbrushing in a tube’. It contains purified Bee Venom, Manuka honey to firm and lift and Sorghum plant, allegedly a wrinkle smoother. I like the way it smells like summer and works like a primer under foundation. Lovely. Have you tried the YSL CC creams? Just wondered how they compared to these? And also the Japonesque CC/BB brush – it’s amazing!